글라스고, 스코틀랜드의 캘빈호 게이트 | 호스텔월드에서 예약하세요. 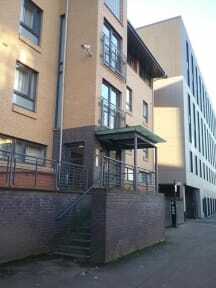 Kelvinhaugh Gate is secure with locks on all flat and bedroom doors as well as secure access to blocks. Office (Cairncross House reception - see below for keys) is open 7 days a week with security patrolling the area at night. Please note that you may be sharing flats with guests that you may not know. Located in the heart of Glasgow, close to shops, pubs, restaurants and only a short walk to city centre. Also 10 min walk to Kelvinhaugh Park and art gallery. 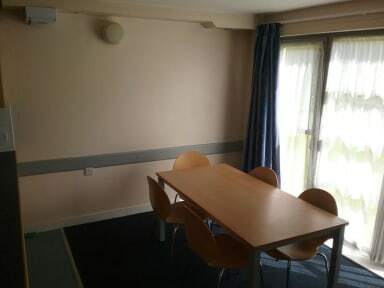 The property is a five person flats each with single occupancy en suite bedrooms and shared kitchen communal areas. All flats come with cooking facilities e.g hob, oven, toaster, microwave and kettle as well as cutlery and crockery. Linen change is every 4 days of your stay. Please collect / return your keys at Cairncross House Reception.